Could one of my dear library worker readers tell Doppelganger here at 50 books what we call a (collective noun) of librarians? You know my thoughts on the matter. A murder of librarians, perhaps? Granted, crows aren’t the best bedfellows…but you have to admit it has a nice (if not public friendly) ring to it. How about a shelf or pile of librarians? But I do like catalog. I like the hush of librarians, although binding is pretty good, too. I vote for a ‘catalog of librarians’. Techie options: A web of librarians, a net of librarians (okay, gag). A database of librarians … maybe that’s a bit of a stretch. A facet of librarians (it allows the simultaneous identity of other ‘stacks of librarians’). Too jargony? A volume of librarians? A bevy of librarians…oh! or a shock of librarians! An anthology of librarians? An index of librarians? A file of librarians? A gang? A posse? So many options…. 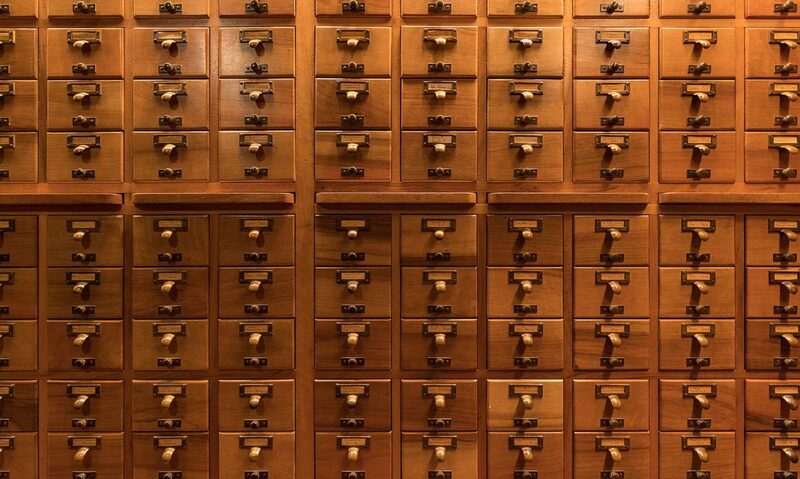 A catalog of librarians? A series? A stack? The dusty old joke among UK librarians is that we are a shsh or a hush. Personally I don’t subscribe to this definition. Erica, I don’t know your thoughts on the matter. What are your thoughts? How ’bout a school of librarians? A swarm? A coven? A pride? An exaltation? A rabble? A band?